Andrem supports All The Flavors. Upgrade yourself. 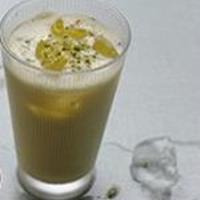 Lassi - a blend of yogurt, water or milk and spices, with ice. Sometimes with fruit or nuts. A popular drink from the Indian Subcontinent. Several recipes of the real drink served as inspiration for this recipe. It is perfect for my taste - fragrant, creamy and sweetish with the Pistachio always there, but not overwhelming. With ice of course. FLV Greek Yogurt with FA Yogurt combines perfectly for the yogurt base. Any possibly associated off notes are eradicated by OOO Cream Milky Undertone without taking away from the essential yogurt character. I wanted a full cream milk and OOO Cream Milky Undertone fits the bill to a tee. FA Honey imparts just enough sweet without becoming overly discernible as honey on the taste. FA Bergamot, Rose and Saffron are understated and manifest as "pleasantly fragrant". Adjust FA Polar Ice to your own taste preferences in respect of how much or how little cool you want. 5 Pawns Bowden's Mate has been an ADV for me for a very long time. When I started DIYing, one of my goals was to create an interpretation worthy of the real thing. I tried every clone recipe out there I could find - none came even close. More than 6 months and 20 versions later, the one below ticks all the boxes for me - a really simple recipe compared to some of the others tried. The Peppermint, Menthol and Koolada percentages below are as close to the real juice as one can get imo, but feel free to play around with these to suit your personal taste. 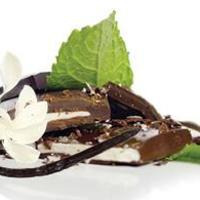 The original recipe used INW Milk Chocolate, which has since been reformulated. Feel free to use INW Milk Chocolate if you have the original formulation. Otherwise, use JF Milk Chocolate, which fill those boots perfectly and more. A 4 week steep is optimal. Simple perfection. Thank you for the recipe. Stunning! The contrast between the bitter/tart and the sweet is amazing. A winner for me. Thank you for the recipe. My search for a pineapple juice is over. This is perfect as is for me. Thank you for the recipe. Got around to my bottle, mixed on 10 January 2018, at last. Left out the sweetener (as suggested), but added 0.5 % of FA Arctic Menthol - I like cold. It is great. Cool enough (without any menthol taste), it fills the mouth - both in texture and aroma, it is bright and has just the right amount of fruity acidity. No one fruit dominates. Awesomely crafted. Thank you for the recipe. Delicious for sure! No FLV Lime Wedge available locally - I used INW Lime at the same percentage to give the passion fruit a little kick. Thank you for the recipe. Oh my, one of those rarest of events - biting into a juicy, PERFECTLY ripe mango. Thank you for the recipe. This is delicious. Like biting into an exotic jelly. Thank you for the recipe.